Health coverage, and particularly access to health care when it is needed, is crucial for human well-being. In addition, of all the elements of social protection, health care is most essential to the economy as a whole and to economic recovery in particular. Against this background, health protection schemes and systems that are well designed and implemented, and are embedded in appropriate economic and labour market policies, have the potential to recover large parts of their costs at the national level. Thus, both the population and the economy are beneficiaries of investments in social health protection. 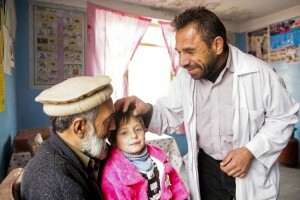 Given the critical importance of the right to the highest achievable standard of health for individuals, as well as for the social and economic development of the societies in which they live in, it is important that countries and development partners across the world be aligned in support of the objective of establishing universal coverage. Photo credit: “Providing healthcare and hope in Afghanistan” by DFID – UK Department for International Development (CCBY 2.0 via Flickr). Ley 19.505 que concede permiso especial a trabajadores en caso de enfermedad grave de sus hijos. This review discusses two issues: maternal health care in Mozambique and adequate housing in Zimbabwe.